SOSCuisine meal plans are based on the Mediterranean diet to combine pleasure and health, while respecting your individual food preferences. The meal plans are updated each week and can be personalized according to your desires. No more worries or food monotony! SOSCuisine exclusive! Our team of nutritionists has developed a range of specialized meal plans. Some are designed for people in good health, whereas others are created to achieve specific objectives. These specialized meal plans help improve health (diabetes, hypertension, etc. 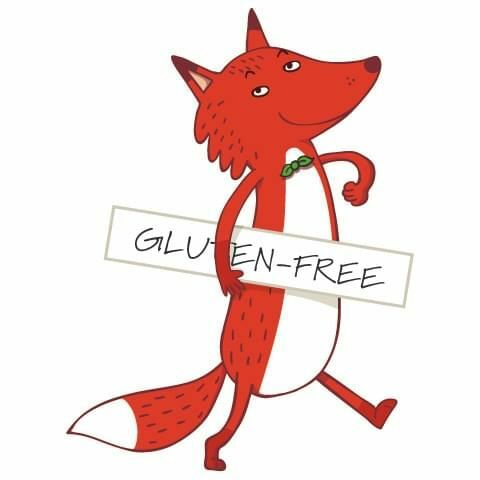 ), maintain proper food intake despite an intolerance or allergy (to gluten, etc. ), lose weight, improve sports performances or even adapt one’s diet to each moment in life (pregnancy, breastfeeding, menopause, etc.). Simply choose the number of servings (1 to 4). Each ingredient amount will be adjusted automatically as a result in the recipes and grocery list. 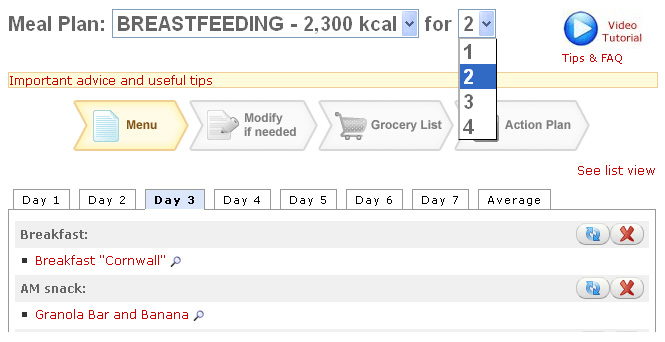 If you don’t like a meal, you can replace it with another by clicking on the button “Change the meal”. You can therefore choose among several alternative suggestions that are compatible with the type of meal plan you have subscribed to (for example, gluten-free recipes if you are subscribed to the gluten-free meal plan) and equivalents from the nutritional point of view. Your meal plan can be adapted to your schedule. You are not at home on Tuesday evening? Specify this and your meal plan will not include the corresponding meal. You always eat lunch outside during the week? No problem, in a click, all the lunches will disappear. 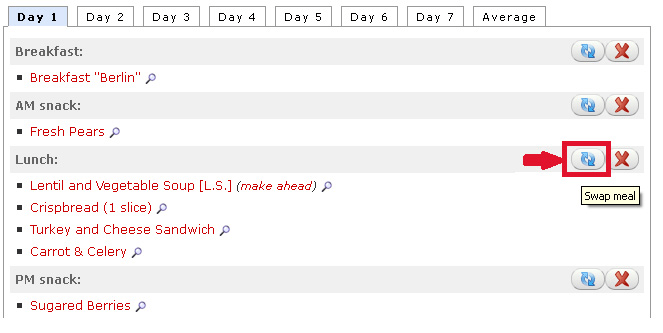 Your schedule can be different from one week to another, the SOSCuisine meal plans will adapt accordingly. Are you really keen to try out one of the SOSCuisine recipes that is not part of your meal plan? 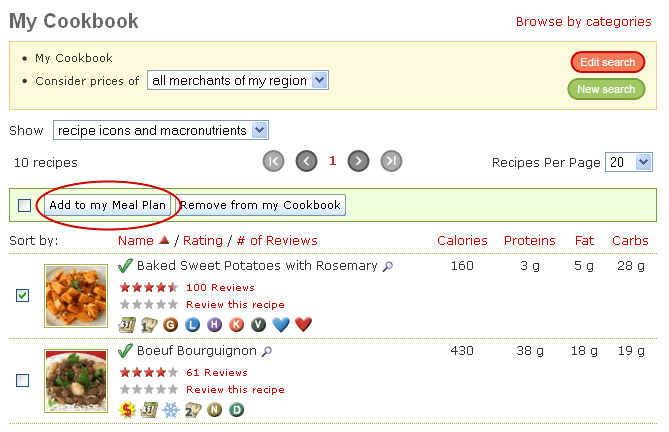 Thanks to the option “Add recipes”, you can add one or more recipes to your meal plan.